Visitors to Lisbon will know that Portugal offers some of the most interesting food in Europe, and produces amazing and unusual wines. But whilst most restaurant menus will come with an English translation of the dishes, the wine list never does. 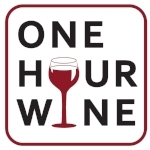 The One Hour Wine interactive, stand-alone wine course provides you with all the tools you need in order to know exactly what to expect from any bottle. In just one hour. In short, we teach you how to read a wine list like a local. Discover Portugal's 14 wine producing regions and their different wine styles. We look at the star grape varieties from each region, and what they contribute to a wine's identity. Suggested food and wine pairings for popular dishes. Obviously, it's not all talk - although your questions are very much encouraged. During the course we also taste and discuss a range of wines specially chosen to illustrate key points, guided by a professional winemaker. And all this, starting from only € 25 per person! We also do private events for groups which can be tailored to your exact preferences. Click here to see when and where the next One Hour Wine course takes place, and to book your seat.